Calangute, a heavenly place completely surrounded by palm and coconut plantation. 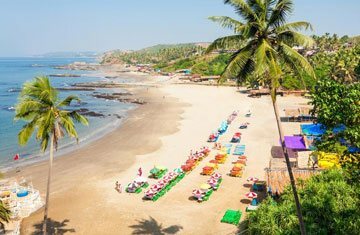 Among top ten popular bathing beaches Calangute is known as ‘Queen of Beaches’. This spectacular beauty has unique charm especially at the nighttime. 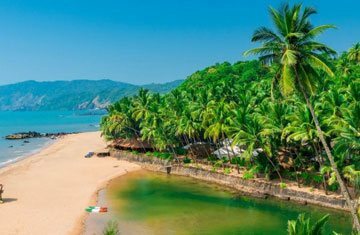 You can spend quality time with your loved one at this splendid beach in distinctive Goan beach culture. It is a real attraction during your Goa visit accompanied by Candolim village. Cover the incredible place along with the local warmth and serenity of the place. As a perfect tourist retreat, it will be a perfect destination for nature freaks. Capture the gorgeous view of this pleasant site with the joyous feel of cool and lovely sea breeze. With lot of beach activities, one can enjoy range of water sports, sightseeing options, shopping and several charming things to make your visit wonderful.